It’s going to be French-tastic! The end of November is approaching, and you know what that means? You will begin seeing more Christmas decorations and you will be hearing more Christmas songs…because the happiest holiday is just around the corner! Every year, local shopping malls will try and outdo each other when it comes to Christmas décor and themes. Look no further, boys and girls; we think we’ve already found the frontrunner for the coolest Christmas décor award: eCurve. 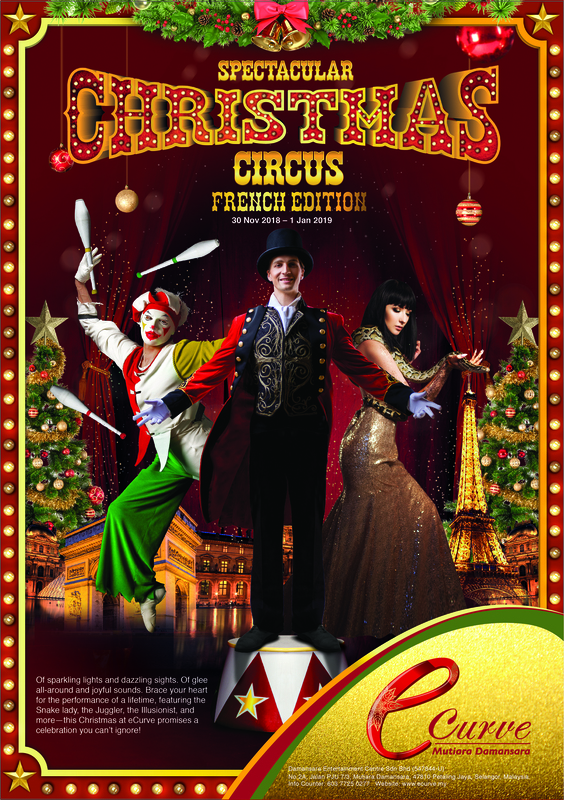 If you’ve always wanted to visit France but it’s out of your budget, here’s some good news for you: eCurve will be turning their mall into a quirky version of France as this year’s theme is ‘Spectacular Christmas Circus: French Edition’. Throughout the mall, you’ll find France-inspired décor like the iconic Eiffel Tower and Arc de Triomphe (with a little twist in the design) greeting you as you step into the mall’s Centre Atrium. 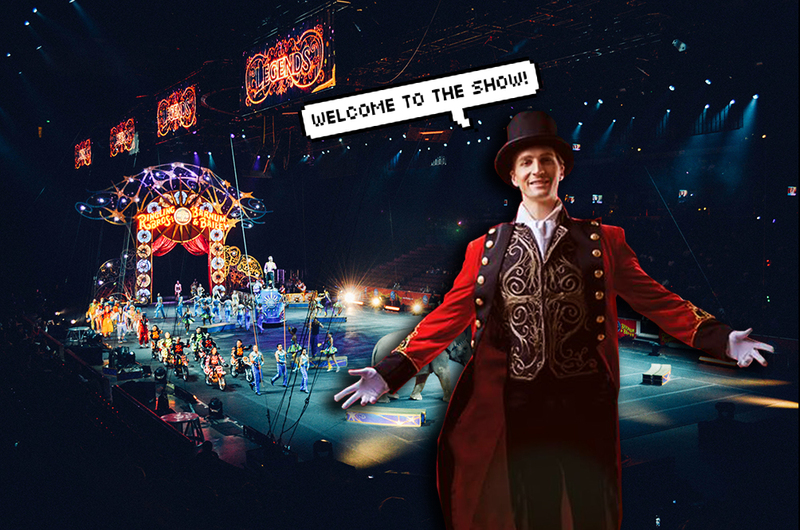 Our favourite décor, however, has got to be classic red circus stage located in the center of the shopping mall. With daily performances, it will give you the illusion of being at a real circus in the streets of Paris. What’s a circus without some riveting performances, right? Throughout the day, you’ll find performers belting out catchy tunes. And yes, you’re more than welcome to jump in and perform with them if you know the songs. eCurve also has several French-themed circus musical acts lined up to keep you entertained. You’ll get to hang out with a talented snake charmer (with a real snake, of course), a juggler, a street magician and even rhythmic gymnasts! Just be prepared to be entertained when you step foot into eCurve. Christmas wouldn’t be complete without gifts, and eCurve has something special to give away during the festive period. When you spend a minimum of RM150 in a maximum of two receipts – which you will, because who can resist not shopping during the Christmas period, right? 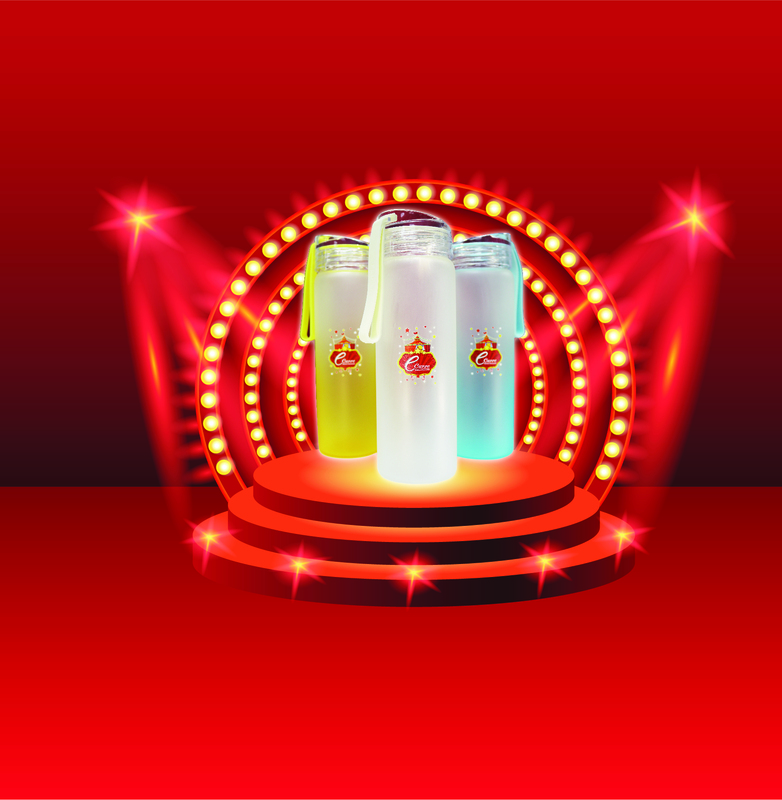 – you are eligible to redeem an exclusive colourful Frosted Christmas Bottle. Since you’ll be spending money anyway, why not spend it at eCurve and bring home a new water bottle? Win-win situation, if you ask us. So, are you guys ready to get your Christmas shopping mood on? 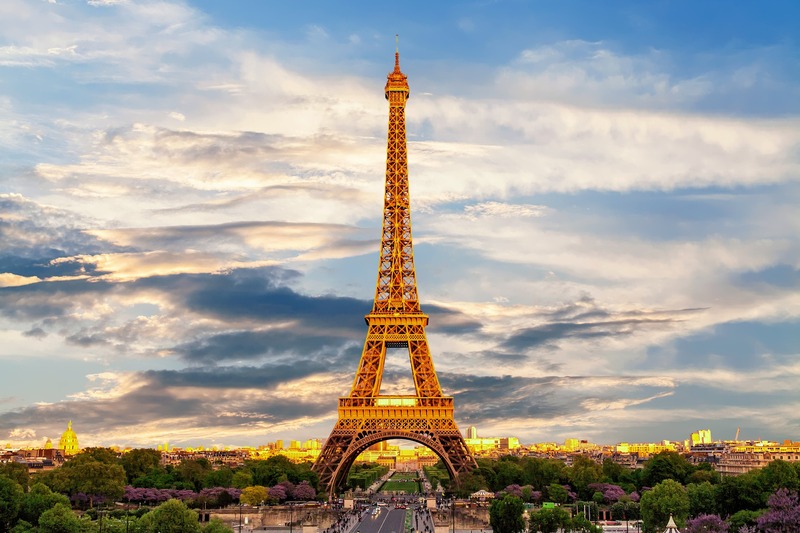 Head over to eCurve from 30 November to 1 January 2019 to take in the whole French experience. Trust us, you wouldn’t want to miss any of this. For more information, contact eCurve’s Customer Care officers at 03-7725 0277, check out their website (www.ecurve.my) or head on over to their Facebook page. This New Shopping Mall Is So Over-The-Top - And It's Opening In Johor This Month!